Responsive Landing Page for a new design/link newsletter called ‘Design Addict’. Good consistent scheme throughout page and icons. OMG Another newsletter for designers!!!! 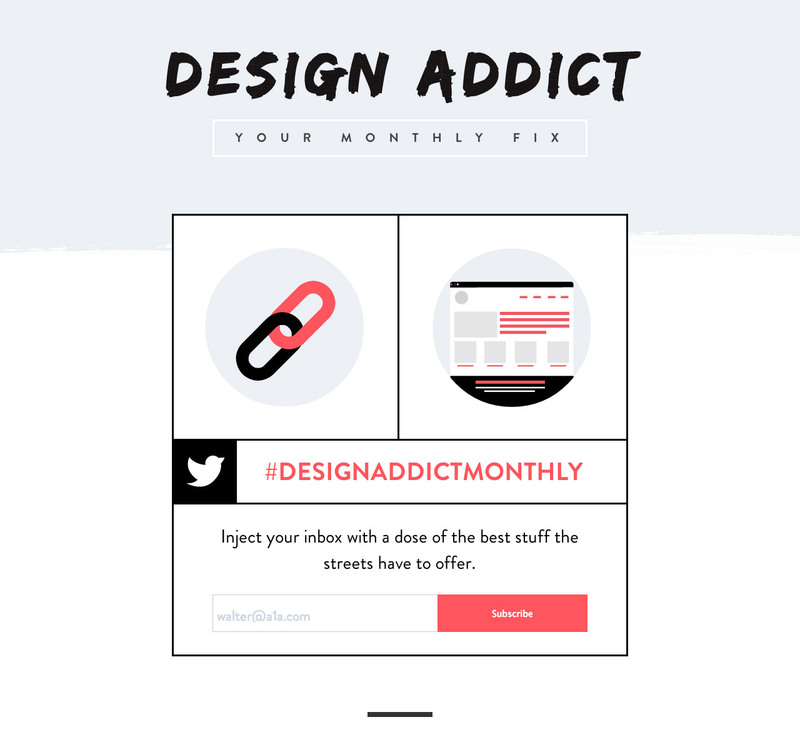 Design Addict will provide a monthly fix of the best links and designs the street has to offer.